Reader Photos: Dads of all Kinds for Father's Day! Home / Latest / Reader Photos: Dads of all Kinds for Father’s Day! My Mom always used to tell me that my Dad loved me, but I wasn’t sure. For starters, he was always critical of me, never gave me compliments, and seemed uninterested in me except for my math acquisition skills. 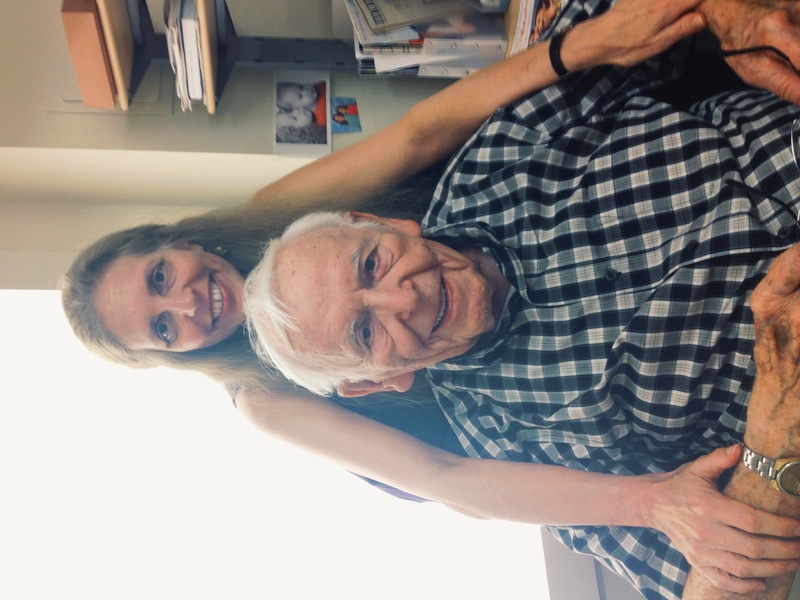 (He is a retired physicist and at 93, is still pursuing his mathematical interests.) Discipline was his first response. My adolescent years were the worst: Looking back, he was no expert on teenaged girls and I was no expert on middle-aged fathers. Things got a little better over the years but we were never close. Then two years ago, my Mom died. Soon after that, the most astounding thing happened. My Dad and I became the best of friends, talking on the phone nearly every day (sometimes several times a day), learning about each other’s interests, helping each other and even singing to each other. I see him differently now—he is kind and funny, and I take pleasure in his unique way of thinking about the world. And I know he loves me. He even says it once in a while, and when I call him he answers the phone by singing me the first line of a Yiddish folk ditty called Yuh Mein Tiere Tochter (Yes, My Darling Daughter). On many days I find myself jotting down our conversations in a journal I have been keeping about the transformation of our relationship. At times, my father still reverts to thinking about me as a rebellious kid, as if I am frozen in time in his mind at age 13. (Apparently I was for many decades!) Just the other day I overheard him telling someone, once again, what a problem I was to raise. Of course I too occasionally regress. But as I always tell my Dad: We are blessed. I turned out to be a good daughter and you turned out to be a great Dad*! And Mom would be so proud! * My siblings may have always known this!